You pack all of your belongings in a truck and hope for the best but even with the most careful movers, accidents can happen. Did you know that typical moving insurance barely covers your prized possessions in cause of a problem. Typical moving insurance pays about 60 cents per pound for damaged goods. So if you have a $1,000 item that only weighs 10 pounds you will get a whopping $60 back. To make up the gap you should consider purchasing moving insurance. There are several options for you to choose from: Full value insurance Full value insurance is the most expensive insurance because it covers your whole shipment. If anything is lost, damaged or destroyed, the movers can either offer to repair the item, reimburse you with cash or replace it with a similar item. Check the policy to see if there are coverage limits on certain items. Released value insurance Released value insurance is the most typical type of insurance. It usually covers goods for 60 cents per pound. Released value insurance is usually offered at little to no cost to you. make sure to check your moving contract, some exclude coverage if you pack your own boxes. Third-party insurance If you choose the mover's released value option, you may want to opt for additional insurance from a third-party. Under this type of coverage your mover would be liable for 60 cents per pound of damaged goods and the insurance company would pay any of the remaining costs. As with any contract make sure to read the coverage thoroughly so you can make an educated decision about what type of coverage you will have for your move. If you've never heard of a moving scam, then consider yourself lucky. But many people across America are falling victim to these scams. Moving scammers have a multitude of ways that they can take advantage of you. The main scam seems to be packing all of your household items into their truck, and then adding on exorbitant additional fees in transit, effectively holding your items hostage until you pay up. Less popular scams involve unlicensed movers posing as legitimate companies, by-the-hour rates where you are charged even while no work is being done, and in the rare case, a sham company showing up, packing up all of your possessions, and driving away, never to be heard from again. To minimize your risk, follow a few simple guidelines. Use a local, reputable business. Never do business with a broker. Always do business with the actual moving company. Always be sure that the company is licensed to do the work they are to be performing. This includes getting the business's full name and address, motor carrier (MC) and Department of Transportation (DOT) license numbers, phone numbers and an e-mail address. If a company cannot provide you access to these things, then move on. Be sure to use a company with actual employees, and not day laborers. If they use day laborers, there is a chance that they may not have the proper insurance in place. Additionally, be sure to get any estimates in paper form. They are legally obligated to do so, and if they balk at the idea, then it's time for you to move on, and find a company that will play by the rules. If you happen to find yourself moving to another state in the near future, you've got your work cut out for you. On top of having to deal with the stress of relocating your family in an unfamiliar place, you'll have a lot of paperwork and research to consider before the big day. Here are four things that you'll need to have covered if you hope to have a seamless transition into a new residence. Keep in mind that the more bases you've got covered, the easier it will be for you and your family to get accustomed to a new state. 1. Cost of living. 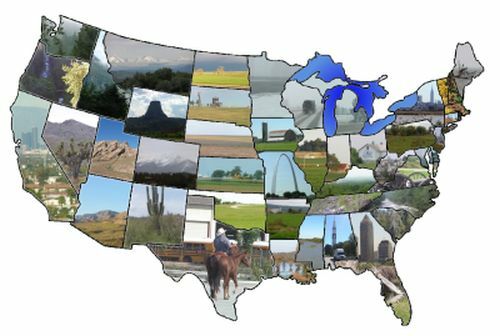 - The cost of living can vary dramatically from state to state. If you're moving for a new job, then make sure to research the cost of living close to your new place of employment. If you lived in a metropolitan area before, then it may serve you better to move to a town surrounding the city and pull a commute than to take a gamble at throwing yourself into a new city that may upset your current lifestyle. Alternately, you may find that the state you are moving to has a fairly low cost of living in the metropolitan areas compared to what you are used to paying. Every state is different in this regard. Doing the research now will save you major headaches. 2. Moving companies. 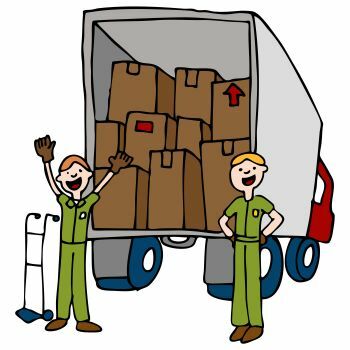 - Unless you are packing up all of your belongings yourself, odds are that you will be relying on a long-distance moving company to handle most of the work. Prices of this service can very dramatically from company to company, so be sure to get at least three quotes from reputable moving companies as to ensure you're getting the best deal. Also, make room in your budget for an insurance plan that you are comfortable paying for. The last thing you'll want to deal with during your move is the worry of your possessions being damaged with no recourse. 3. Taxes. - You may not think that taxes are an important thing to consider this early in the game, but if you live in a state that doesn't collect an income tax, moving to a state that does can impact your cost of living. Meet with a tax specialist and review any hidden taxes and expenses you may incur as a result of your move so you aren't surprised later on down the road. 4. Neighborhoods and local culture. - This may be one of the most important steps that a lot of people overlook. Just because you do a virtual walk through of a home and like what you see, doesn't mean you'll like where you're moving. Do some detective work before you sign papers. Look into crime statistics, school ratings, reviews of the city and neighborhood you're considering moving to, and local taxes and ordinances. You can find all of this information online relatively easy. If you can manage it, then plan a visit to your potential new home to see everything your new town will have to offer. Look at the commute to your new place of employment, the sights and sounds of the local culture, and keep an eye out for anything you don't particularly like about a place. You can make your transition a lot smoother by connecting with a reputable real estate agent who has a healthy knowledge of the area. Seniors: Is it Time to Move?